Most conventional landscapes allow water to run off their garden and most often this approach wastes water. With this watershed wise approach to landscaping, your design would be able to retain rainwater and also minimize the need for supplemental irrigation. 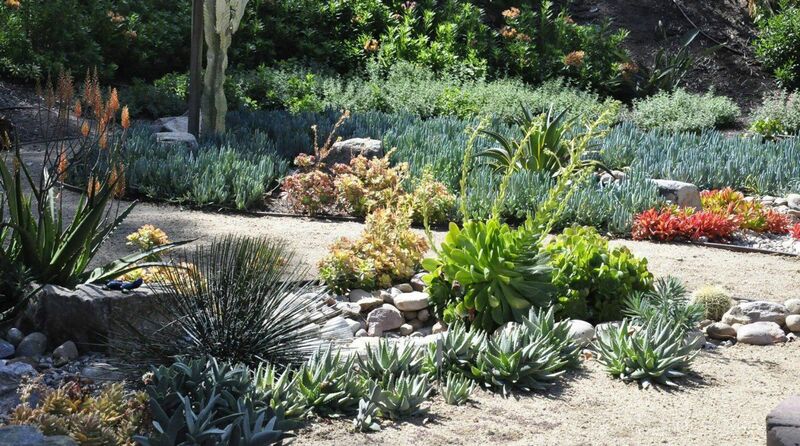 These amazing gardens require less water but do not look dry at all. In fact, they are, "attractive, lush, and evergreen." Designers say to achieve this there are three easy steps. Step one is to use healthy living soil because it captures rainwater. "Healthy living soil is made by adding compost to you soil, covering you garden with mulch, and by avoiding soil disturbance as much as possible. Step two is to chose climate appropriate plants that will reduce the need for irrigation. These plants can be from your own native plant communites and plants from mediterrean climates; This way it will let your garden adapt to California's seasons. Step three is to use effiient irrigation which supplements rain in order to allow your plants to thrive in those long, hot California summers. Call us at (619) 929-9140 so we can get started on creating your own sanctuary garden using this incredible watershed wise approach! !